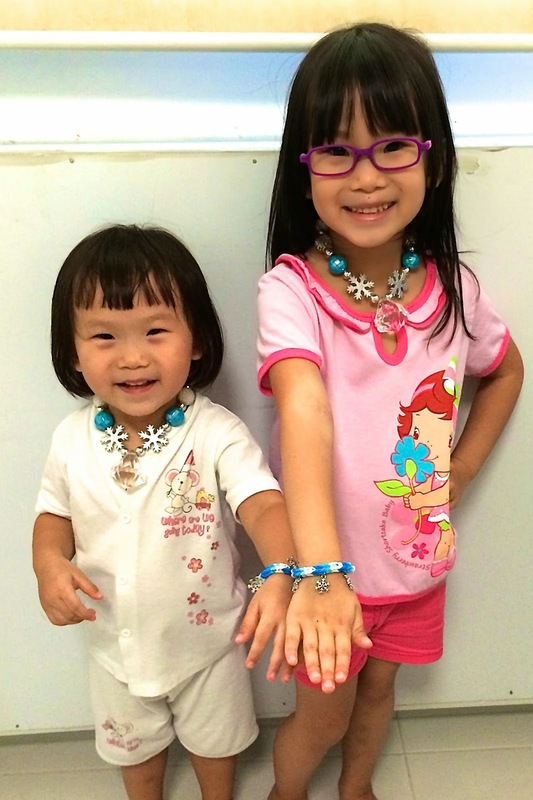 After our first endeavour, my friend showed me a picture of a piece of rainbow loom artwork with Anna-inspired colours. I got excited again and went to get gold heart-shaped charms. 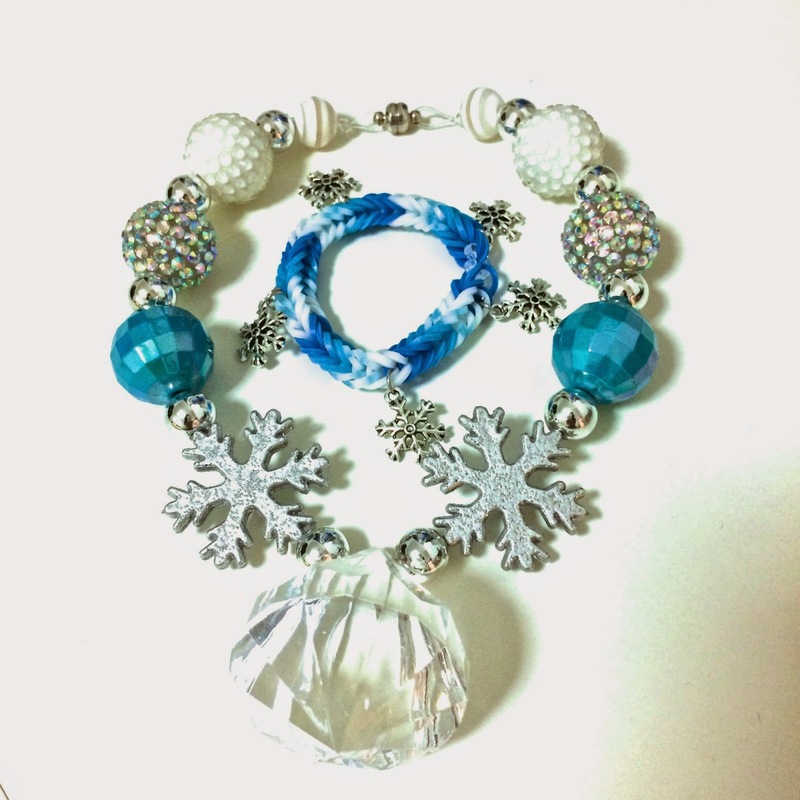 Now, we have two complete sets of Frozen-themed accessories! Yay! 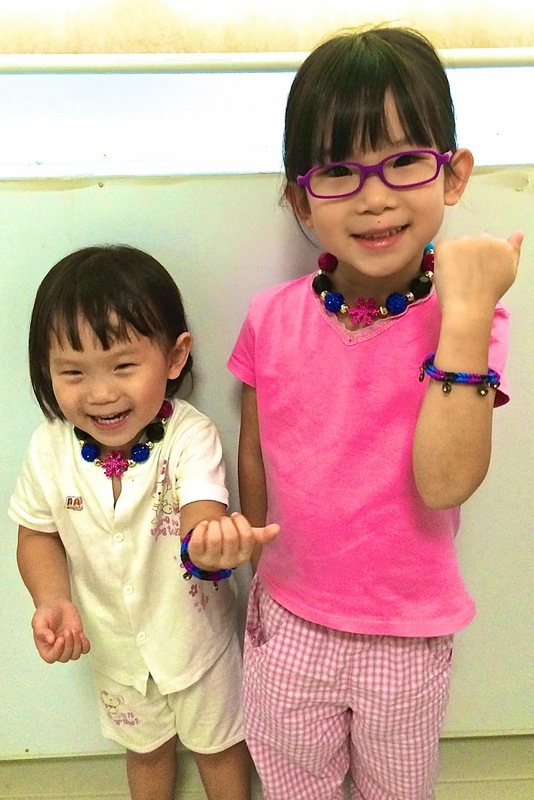 The girls with their accessories. 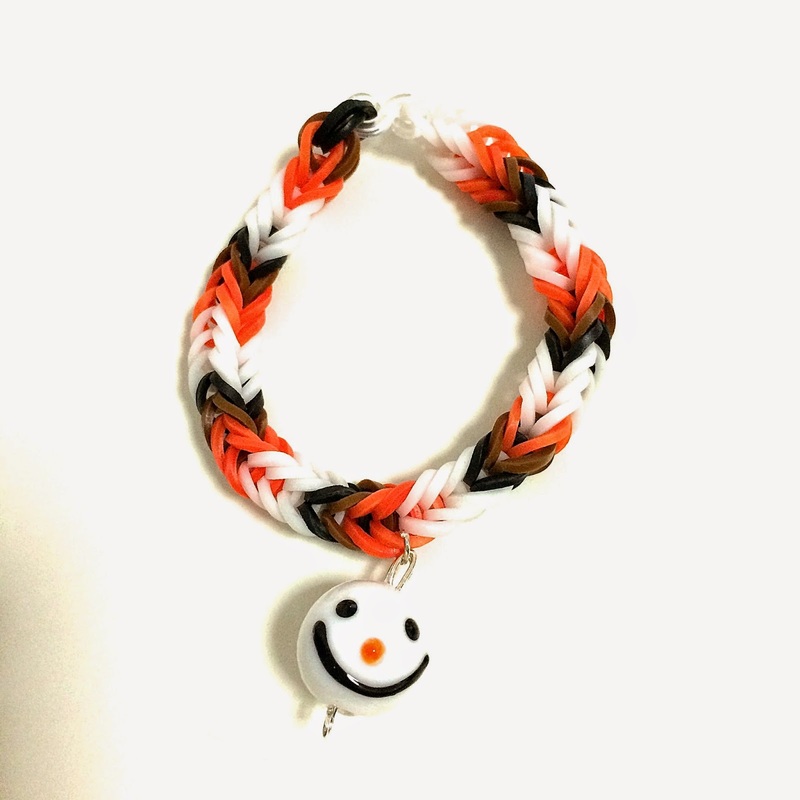 Since I have a snowman bead charm anyway, I thought to might-as-well complete an Olaf-inspired bracelet for the brother with the help of my friend.